Once again Riordan uses such vivid words and beutiful sentences to create a story that comes alive. Fans of Percy Jackson (such as myself) will be pleased to read the reunion between two beloved chacters [Percy and Annabeth] and get inside their heads along with other members of the Prophecy [Piper and Leo]. This thrilling story will captivate you and lead yo on a journey of love, friendship, challenge, hope and sacrifice. It is a must read for all. The third book of the heroes of Olympus is great ! You can't stop reading, and it has an incredible end !! You feel like you are right in the book. Highly recommended !!! 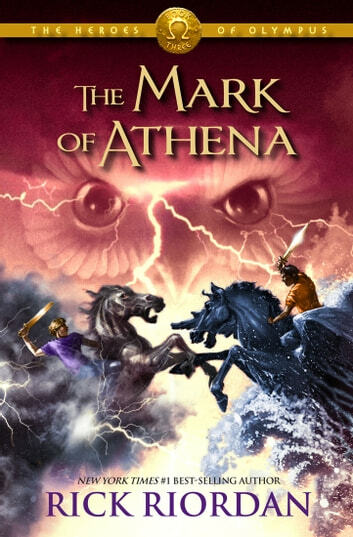 Truely fasinating, The Mark of Athena is a book that can be read a hundred times and never get boring!